You can listen to a Podcast interview I did on the subject of Sola Scriptura by clicking here. There are some elaborate charts that tell you how you could read the Bible all the way through in one year -- which if you followed, would work fine. However, I wonder how many people have ever followed such charts all the way through, because it would require that you make regular reference to the charts, and remember where you were on the chart. On the other hand, many people simply open up the Bible at Genesis, and then get bogged down somewhere towards the end of Exodus and Leviticus, and then quit. One method I would suggest is much simpler to follow, and if you do, you not only will read the Bible all the way through in about a year or so... but you could continue to read the Bible and get a balanced intake of the various parts of the Bible rather than hit one section that is difficult and then lose interest. I would suggest you make 6 paper book marks with the following labels. Ideally you would read 6 chapters a day. However, if that was too much, you could read three from the first sections one day, and three from the rest the next. You don't need to refer to a chart... just move your book marks as you go. When you hit the end of a section, move it back to the beginning. The Orthodox Study Bible would be particularly helpful to use in this regard, because it has an introduction to each book that will help you better understand what you are reading, along with footnotes throughout the text. 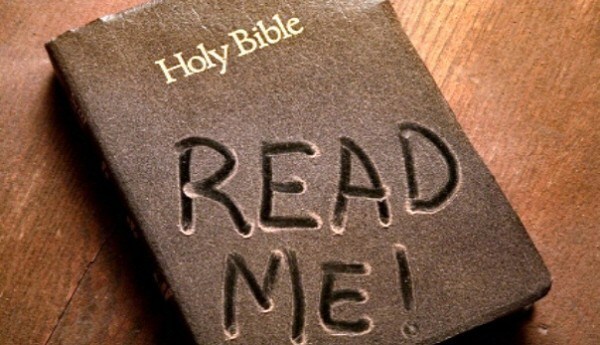 Probably the two biggest reasons that people do not read the Bible, aside from general laziness, is that they don't understand what they are reading, or that they find it boring (which is usually a direct result of not understanding the text, or as noted above, getting bogged done in a difficult section of Scripture before getting a full sense of the entire scope of Scripture). To understand the text properly, the first thing you need to do is pick a good translations. See this article for details, but the abbreviated recommendation for the average reader would be to start with the Orthodox Study Bible or the New King James Text. I love the King James Version myself, but unless you grew up hearing it read, you should probably read the New King James first. It is also important to have some good study tools. You can see this article for a full breakdown of the various kinds of biblical reference material available, but for the average laymen, I would recommend a good Study Bible (again the Orthodox Study Bible being the best option currently available), a good Bible Dictionary such as this one, or this one, a good catechetical text, such as the Law of God, and perhaps some basic commentaries such as "The Bible and The Holy Fathers For Orthodox" by Johanna Manley. It can also be helpful to listen to the Bible being read, especially if you find it difficult to find time to sit down and read the text, or if you have a lot of time in which you could listen to audio, but can't read a text (such as when you spend a lot of time on the road driving). You can listen to the Bible being read for free on the Bible Gateway, the Blue Letter Bible site, and on your phone via the YouVersion App, or the Blue Letter Bible App. 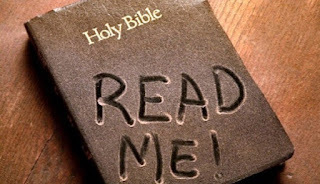 It's also important to understand that the more you read the Bible, the better you will understand it, and so you should not allow a sense that you do not fully understand the text to keep you from reading it. You will also find that there is always more for you to learn... you will never exhaust its meaning. I often wondered about this piece of music, because it is often heard around Christmas or in movies with a Christmas theme. You can read about the movie this was composed for here. Since Guy Lombardo isn't around anymore... we have to go to Youtube for such things.